Chicharito's time at Manchester United appears to be drawing to a close. Inter Milan president Erick Thohir has denied holding talks over a move for Javier Hernandez or Fernando Torres. 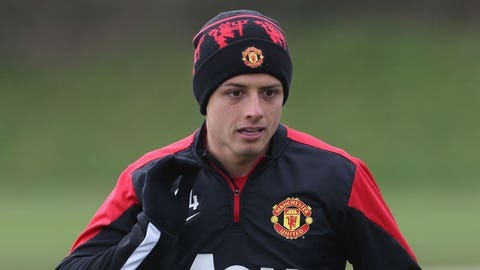 Hernandez has had a limited role at Manchester United this season and has been linked with a summer departure from Old Trafford. Inter have been credited with an interest in the Mexican, having already struck a deal to bring in his United team-mate Nemanja Vidic this summer, but Thohir insists there are no plans to make it a double raid on Manchester. Thohir has also played down reports connecting Inter with Torres, whose long-term future at Chelsea continues to be a source of speculation. "Chicharito is a good player but we have not spoken neither with he nor with Torres," Thohir told reporters, before being quizzed on the futures of Inter duo Esteban Cambiasso and Walter Samuel. Cambiasso, 33, and Argentine compatriot Samuel, 35, are among a host of players whose contracts expire at the end of the season. Rodrigo Palacio’s deal has another year left to run but the striker has already announced that he is in talks about an extension. 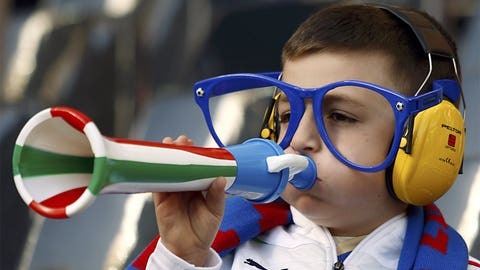 "By the end of the season we will evaluate all the players and decide who stays and who does not," said Thohir. "We are negotiating the contract extension with Palacio."